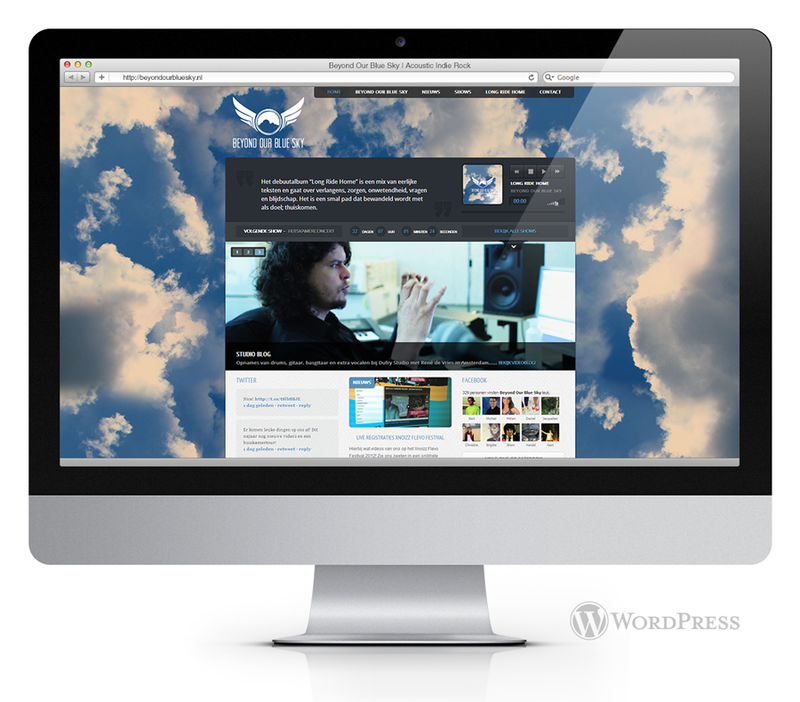 Beyond Our Blue Sky was looking for a website which could contain the information about tours, merch and news. Of course, Beyond Or Blue Sky has their own Facebook account to keep fans up to date. One of the pages within this account (tab) is a page that contains some of the content of their website. Changes to the website will automatic be taken over by this Facebook app.